Price listed is for three charms. 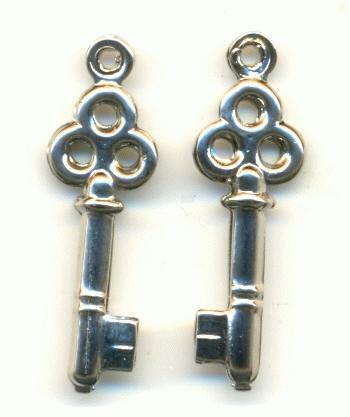 These are silver plated skeleton key charms that measure approximately 24mm by 7mm. They are double sided with a single loop at the top. Copyright C K Marketing Inc. All Rights Reserved.